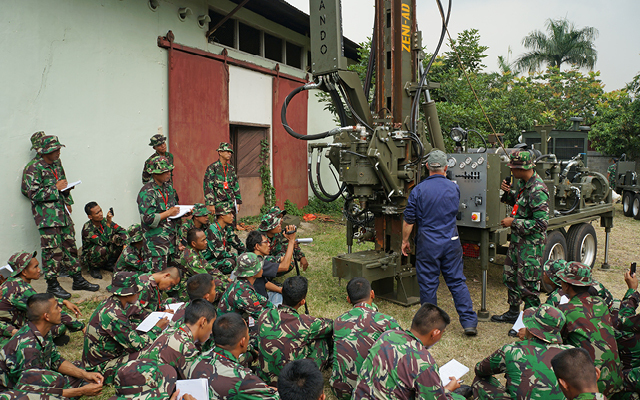 In order to realise the full potential of any drilling rig or machine, the training of personnel is of the utmost importance. Dando’s team of friendly and highly experienced drilling engineers can commission a customer’s drilling rig and, on request, provide training and familiarisation with all aspects of the Dando machine. Training schedules involve a variety of classroom and on-site practical work which can be tailored to the exact requirements of the customer. Continual assessment and logging . The duration of the training period offered can vary, depending on the requirements of the customer and the experience of the drilling crew. Dando can also provide service and support contracts where Dando’s engineers will routinely visit each machine at agreed intervals to review maintenance records and drilling performance, and assist drill teams with additional training as required.